The Artesia Police Department is seeking the public’s assistance in solving a burglary at a local business. Sometime on or before June 2, an unknown person(s) entered the property of Coats Plumbing, 705 N. First St., and removed a Milwaukee M18 hammer drill, drill bits, and assorted plumbing supplies. 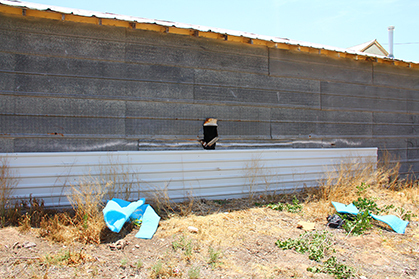 Anyone with information on this crime or the individual(s) perpetrating it is urged to contact Crime Stoppers of Eddy County at 575-887-1888 (toll-free, 1-844-786-7227); eddycountycrimestoppers.com; or by using the mobile app P3 Tips (a reward has been issued for the tip ending in 58).